A mental health institute in India admitted its first patient for Netflix addiction. The 26-year-old man is being treated by Dr. Manoj Kumar Sharma, a professor at the National Institute of Mental Health & Neurosciences in Bengaluru, who said the man was watching Netflix to obtain a "feeling of goodness." "It was helping him to relax and overcome environmental distress," Sharma said, adding that the dependency "led to preoccupation with show series, loss of control and psychological withdrawal in [the] form of irritation, if [he was] not allowed to watch." Doctors from the Service for Healthy Use of Technology Clinic, which is part of NIMHANS, said this is their first case involving addiction to the television streaming service. The unidentified man was watching more than seven hours of Netflix per day, Sharma said, which caused "physical, social and occupational consequences." His treatment includes a combination of relaxation exercises, career guidance and psychological intervention to help him overcome the debilitating condition. 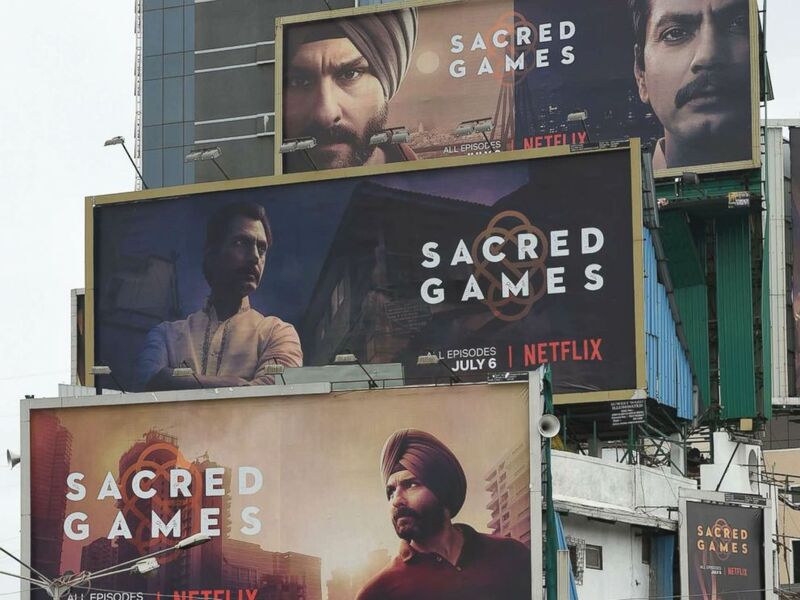 Indian commuters travel past large billboards for "Sacred Games", the upcoming Indian series on Netflix, in Mumbai in this July 4, 2018 file photo. Sharma said most clients at the SHUT Clinic are seeking treatment for video game addiction, averaging around seven to 10 hours per day of online gaming. Doctors are now beginning to research "the emerging preference for online show[s]." There is currently no gold standard treatment for internet addiction. Students receive a group punishment during a military-style close-order drill class at the Qide Education Center in Beijing in this Feb. 19, 2014 file photo. In China, a growing number of internet "boot camps" have emerged to help young people with an over-reliance on technology. Reports have said the facilities put addicts through military-style training. Inquiries from people concerned about internet addiction are on the rise, but people should only be concerned once they've "lost the power of choice," Eytan Alexander, the CEO and founder of UK Addiction Treatment told ABC News. "With Netflix, just because you go and watch a series from start to finish in one evening, does that mean you’re an addict? No," he said. "But if you miss work, or you are isolating yourself from your family because you’re compelled to watch Netflix, then maybe you’ve got to ask yourself some questions." UKAT’s treatment centers tackle the underlying causes of addiction, although the link between compulsive behaviors and other mental health disorders is not always clear. "Addiction mimics mental health and mental health mimics addiction," he said. "It is a compulsive obsessive disorder that gets you to do the same thing over and over again and thinking 'This time it’s going to be different' and it's not. Because experience shows you it's going to go badly." Netflix declared 2017 "a year in bingeing" last December. The streaming service announced that the world watched more than 140 million hours per day last year. The average user streamed around 60 movies in 2017, including one person who watched "Pirates of the Caribbean: The Curse of the Black Pearl" 365 days in a row. Netflix launched in India in 2016 and has begun developing programs for the market. The company launched its first Indian TV show, a spy thriller called "Sacred Games," in July according to Reuters. It's unclear which shows the man was watching. Netflix did not respond to ABC News' request for comment.